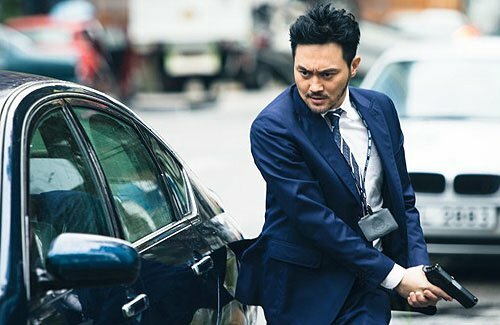 Starring Louis Koo (古天樂), Chilam Cheung (張智霖), Kevin Cheng (鄭嘉穎), and Stephy Tang (鄧麗欣), L Storm <L風暴> is currently filming in Hong Kong. 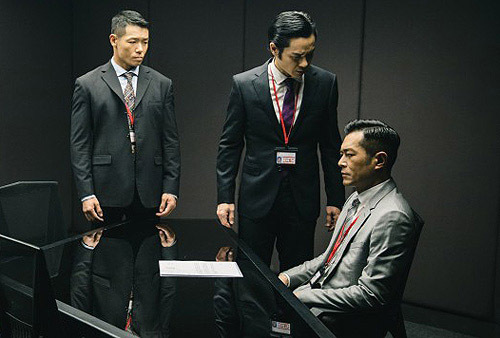 The crime thriller is the third installment following Z Storm <Z風暴> and S Storm <S風暴>. Filming opposite Louis for the first time, Kevin felt pressure to make sure he has no outtakes on set. 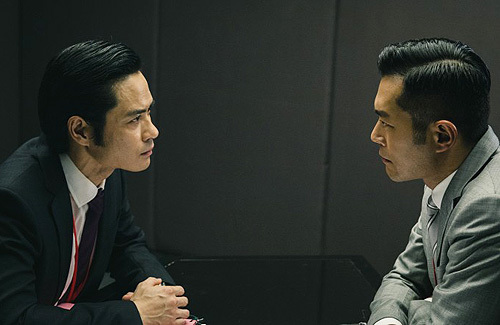 Portraying ICAC investigators in L Storm, the two actors recently filmed an interrogation scene where they express distrust in each other over a money laundering case. As the dialogue was quite long, they rehearsed before the cameras rolled. But the director decided to make last-minute revisions to the lines. 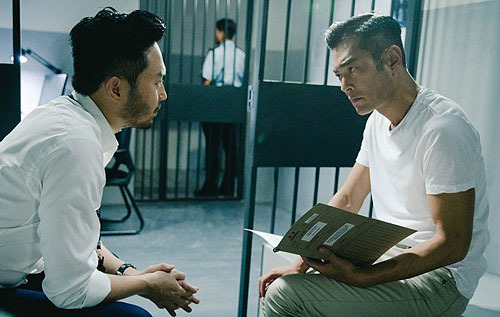 Another recently filmed scene spoke about Chilam detaining Louis while gathering evidence to build a case. The actors smoothly completed the scene in one take. Chilam laughed and said it took many years working with Louis and their real-life friendship to build such good chemistry. L Storm opens in theaters on August 23, 2018. What next ? ABC storm ?! Kevin looks older in that first pic than some of the guys who are older than him in the movie. At least Kevin is more likely to make a breakthrough in the movie industry then Chilam….